As I sit here browsing websites for gifts for my friends and family, there are a couple of standouts that I want to share with you. Not everyone is into books and that's okay. Luckily, some of those people are into film. 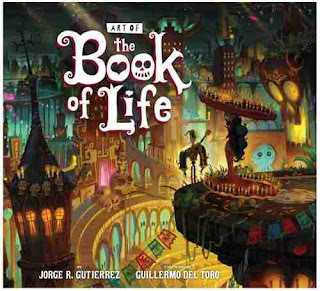 With the lovely Disney-Pixar film Coco coming out later this week (we'll be seeing it in 3D on Weds), it is a great time to celebrate Day of the Dead with the first animated film to take us into the world of the dead -- Art of The Book of Life by director Jorge R. Gutierrez. This is one of Z and my most favorite films with beautiful music, a gorgeous style, and a heart-warming story. And the art style is so unique that you can totally get lost in this book while you're trying to wrap it for someone else. 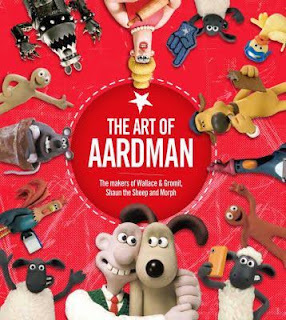 Chronicle Books has just released The Art of Aardman, featuring sketches, early models, and movie scenes from all of their stop-motion hits. It will not only remind you of all of your favorite Wallace and Gromit moments but will let you finally see all of the little jokey props that you missed in the rich environment of The Pirates! in an Adventure with Scientists! even though you have seen the film dozens and dozens of times (oh, is that just us?). It would be perfect for a youngster who is thinking about a career in animation and wants to see the process from the bottom up. 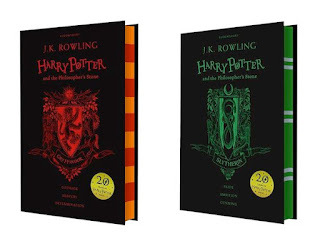 Sure, pretty much everyone who wants to read Harry Potter has already, but do they have their own house-colored edition of Philosopher's Stone? 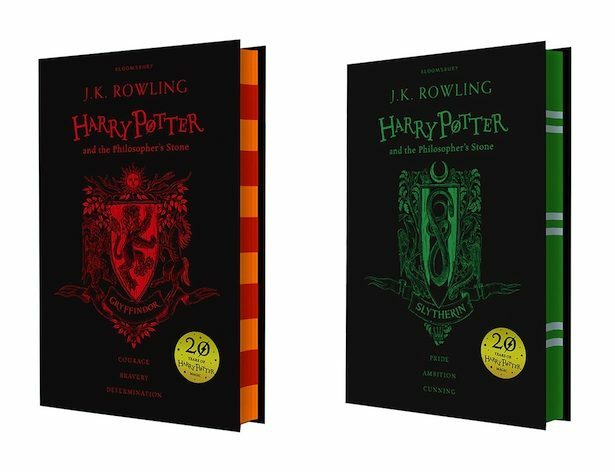 There are also paperback editions in solid house colors but I think these hardcovers with the tie patterns are the best. If you are in the U.S., you can get them from The Book Depository. I already gave my niece a Ravenclaw edition for her 11th birthday this summer and she almost died when she realized it came from the U.K. and was the British text! Also, lots of books have beautiful new editions out -- like the 10th Anniversary Edition of The Name of the Wind by Patrick Rothfuss and the Neverwhere Illustrated Edition. I'm asking for more clothbound Penguins to fill out my collection! I know everyone has their own places that they like to go for swag, from your local indie bookshop to the neighborhood Barnes & Noble but I just wanted to remind everyone that you can support small businesses by heading to Etsy. There you'll find goodies like magnetic bookmarks from Wrecking Ball Design (also, you may recognize the owner when you click over there)! 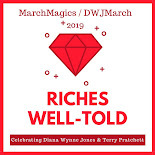 Just search for any author, title, or item and you'll be sure to find lots of surprises and treats. Is there anything you want to add to the list? Something you are asking for or are gifting this year? Nice picks! I saw one at the bookstore: A History of children's books in 100 Books. It's the kind of coffee table book i would not usually buy for myself, but would love it if someone else gave it to me. Ooh, that looks like a good one! Ha! It's already the 10th anniversary of Name of the Wind? We are so patiently waiting for the next book, aren't we! I have not seen The Book of Life. Sounds like I need to correct that lapse. Also, I am ashamed to admit that I somehow missed The Pirates! Another movie to go find asap! These are great choices!! 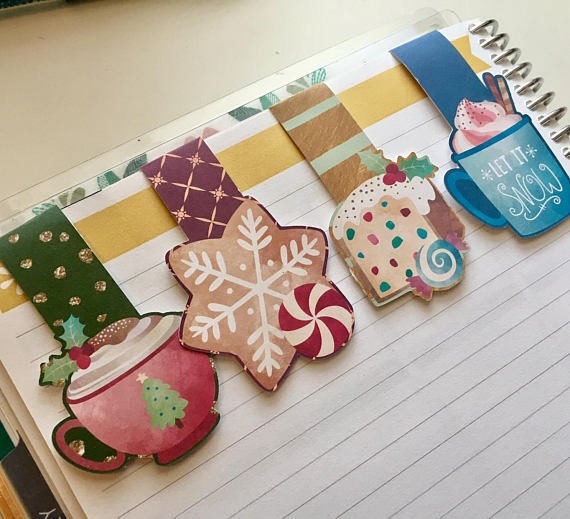 And I totally need to get myself some stickers from Andi's shop -- I managed to get back in the habit of writing regularly, so I want to get back to putting cute stickers on every calendar day that I write 500 words. Gotta have stickers! I need somewhere to put stickers because I have major sticker envy of everyone else!